Hello Everyone, today is a big day for me! 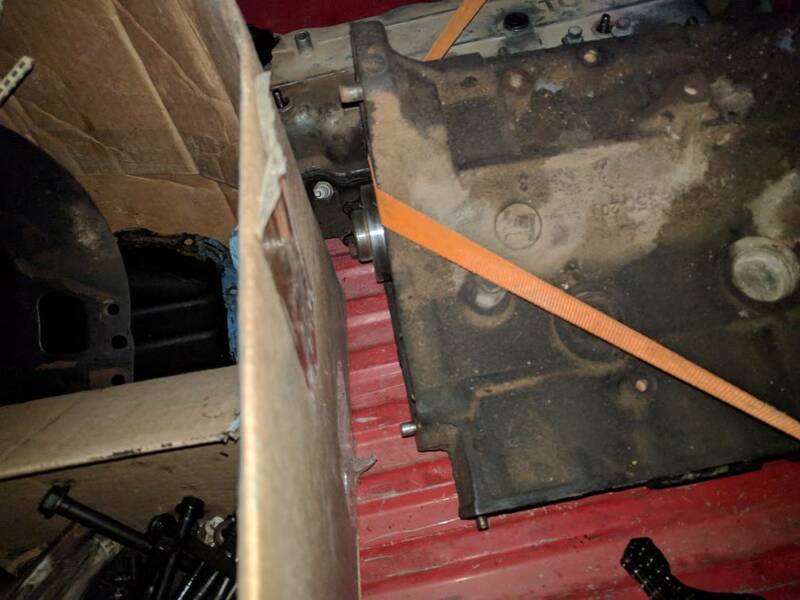 I just picked up a motor that I plan on rebuilding and putting in my 85 xtracab. I paid $200 for a Block, crank, head, cam.... Everything including the timing cover. I didn't know until I got there that it was an early style 22R hinted at by the dual row chain and early style valve cover. My truck being an 85 is the later style, so I know that some stuff will not work. Namely, the exhaust manifold. Not a problem considering I am getting a header. But the intake should be the same... right? I hope so. My plans for this is just a reliable daily, nothing more. I want a mild cam, something for more torque at lower RPM's. It is a dual row, which we all know is really good. As far as I know, the block hasn't been bored, the guy said he bought it from a woman who's husband died, so I have no info mileage wise. The cylinder walls look really good, so I am real excited to get this going, a winter project. So the intake should fit right? I am gonna buy the LCE master rebuild kit which seems really good, of course I gotta do the machine work, which is the most expensive, I plan to pay about 1500 for the machine work. Finally feeling like a real forum member! Feel free to chime in, I gotta unload this tomorrow, by myself, thank god these things are light! Upon further research, I think I'm gonna go with engnbldr, prices seem a little better and I've heard many good things. I think your intake will fit just fine. Let me know if it doesn't I will send you an older style one. Good score on the early block. The most important question I think we all have is what color will you be painting the block? Color is very important to tuning you know . Ha exactly! Color is important. I think I'm gonna go for a black, and I'm gonna accent in red the serial numbers and old Toyota logo. Might even engrave the date and my name in it, who knows. As for the intake, I'll let you know, as far as I know the intakes are the same, it's just the stock intake. I might have to get block off plates for some stuff but that's fine by me. 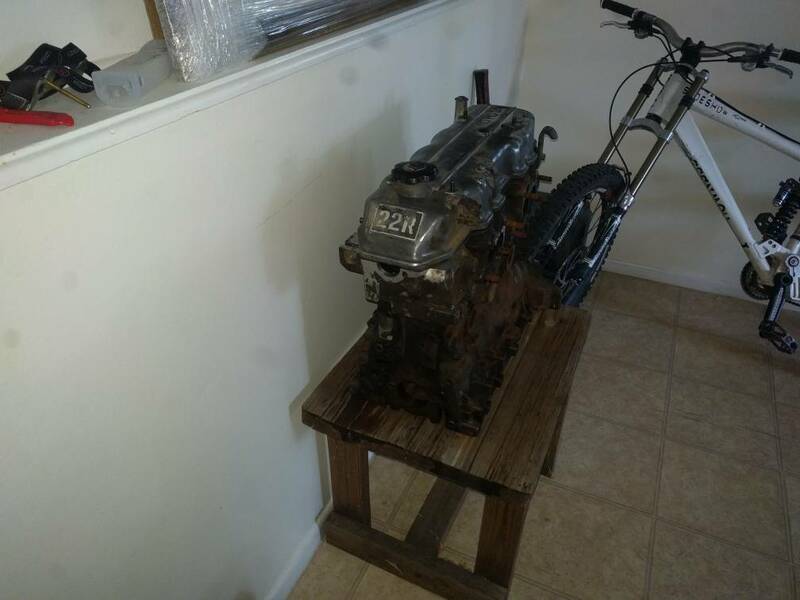 I went and cleaned the block today, wire wheeled the outside and degreased everything so now it's sitting in my kitchen. Gotta love that non married life. Not only are the Pistons and rods the factory stock ones, the timing cover, and oil pump are too. Some of of the main bearings are worn, but I fully anticipate a full machining of everything on this block and head. Get your rods done it's totally worth it. Have a decent machine shop balance the rotating assembly. It makes a difference in the longevity of the engine life. Also you can twist it up without worry. I wanna get the whole motor checked over by a machine shop when I build it, so I'll have them check the crank too and have them balance it. I am thinking about LCE's H beam rods, they are only $300, and good for 600HP. Seems overkill, but they are stronger and that means more durable. Overkill for a stock motor? 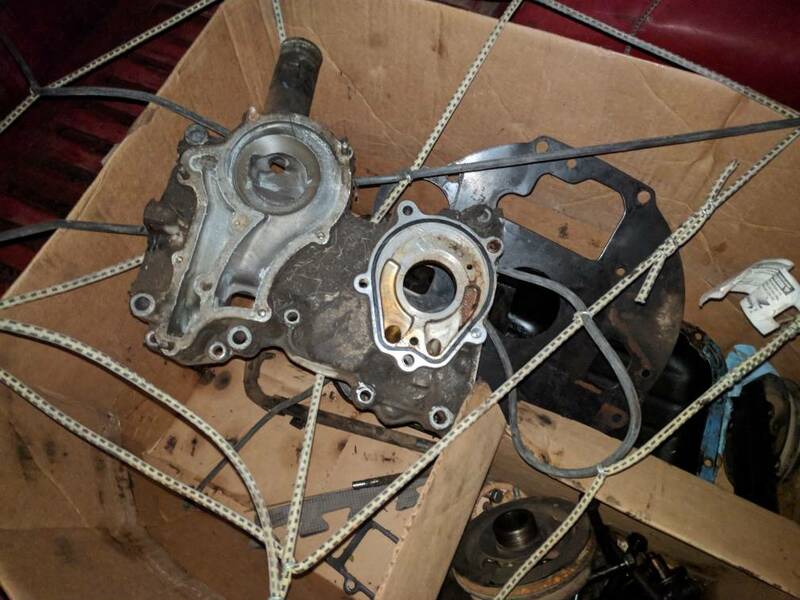 I typically spend about $160 on a block (tanked, checked, decked and bored), about $200 on a head (valves, repair or replace seats, springs, repair or replace guides, milled flat), A crank (turned down and balanced) is usually around $120. So I'm thinking about $500 for your machine work should be plenty. Wow, I hope I can get it for that much. That is a really great price. The head looks good, obviously eyes aren't a pressure test, but everything looks decent so it shouldn't be to much. Thanks for all the advice, I'll have to call around today. Luckily for me, I work for a Toyota dealer so some stuff I'll get a discount on, possibly carries over to a machine shop I don't know. And that's it, pretty good I think. I don't know your area. But that is awful high for a 22r. I just had a 509 gm engine done for 750. That was 2 heads rebuilt, valve job, check block, bore .030 and cleaned all of it up. The old machine shop I use locally would be in the ball park of 250-350 on a simple 4 cylinder like a 22r. at that point, a reman is a few hundred more. Pricing can vary from shop to shop and region to region. The reputation of the shop and if they have experience with alloy heads and old 22 blocks is very important. Any high quality machine shop, speed shop, or cylinder head shop should give you a complete detailed estimate on what they recommend needs to done, including shop time - after they have fully inspected everything. Not knowing what those services exactly include, $1,000 for all that is a very fair price, from my recent experience here in Arizona. 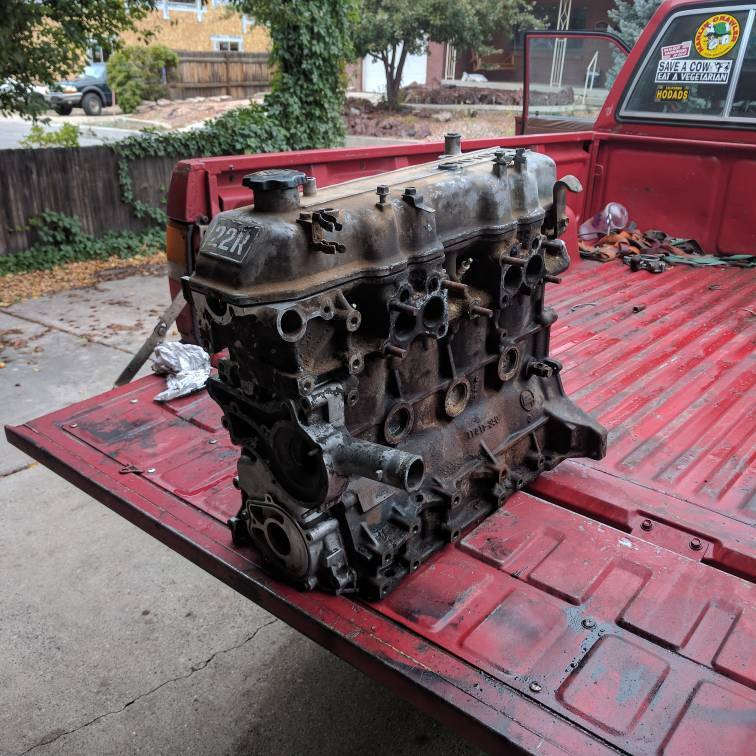 My local cylinder head shop will charge about $260 - depending upon the condition of head - for rebuilding a 22RE head with top quality parts and workmanship (they only do cylinder heads). They will sell a new head, high quality manufacturer, with a stock cam for $400. It is generally recommended that an early rebuilt 22RE head be pressure tested, but it is not necessary. 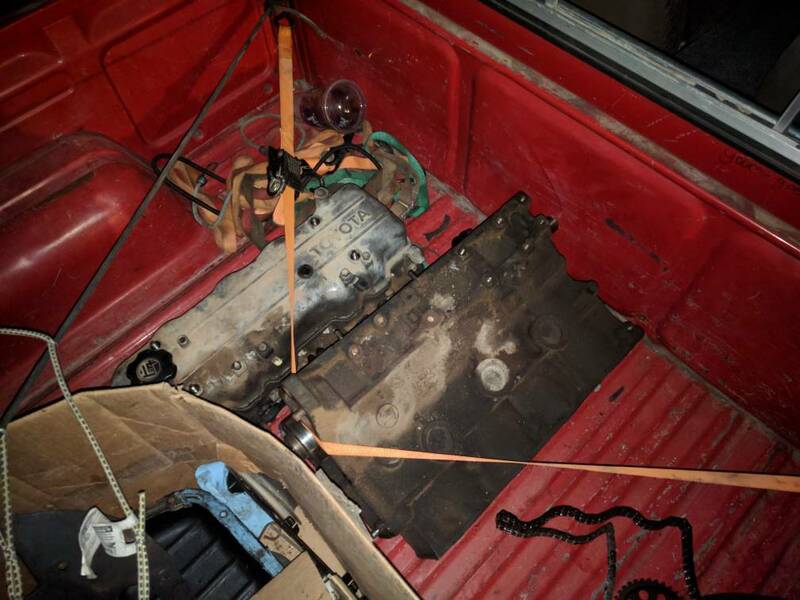 Buying a remanufactured short block or long block can be very dicey. Unless someone shows me another viable source, 22RE Performance or LCE would be the only sources I would give serious consideration. Just another thing to add to the mix. I've never rebuilt an engine, but doing it oneself would probably be a good learning opportunity. And a good way to save money, too. A Daihatsu exorcist for diablos rojos? engnbldr kits are low low low. DNJ crap though. I like LCE because each component is from a different company with a mix of aftermarket and OEM. That means LCE set out to find the best part with a quality and price balance in mind. Some parts apparently should be substituted, for example a lot of guys will only run the OEM head gasket. :)bestgen4runner [12:45 PM]: I am so stupid. What experience do you have with DNJ parts, and why do you believe they are "crap"? I'm curious. One of the very top and highly respected aftermarket suppliers here in AZ uses and recommends DNJ parts manufactured for Toyotas. engbldr is a highly respected aftermarket supplier, they use and recommend DNJ parts. Do you know something they do not know? How many conversations have you had with John at LCE or Tod and Ted at engbldr, or Jim or Jerry at 22RE Performance? I guess I didn't word it properly. I meant all the machine work would be in that range. Personally, If I do not know the history of the shop that produced the "remanufactured" engine I would be hard pressed to buy one. I have heard many bad things regarding lack of quality when it comes to those ebay and other cheap engines. Man I have been getting a good deal up here. We need good deal makers... like Trump.... have you thought about running for "office"?? LOL..
No I would be assassinated in the first few months of office. I figure I can do more damage living off grid and shaming people about going into debt. Geezz.... I've been shamed and shameless several times... I'm not sure which condition was more exciting? Thanks everyone for all the replies, sorry for not being able to respond to everyone one by one. The shop I called has been around for awhile, the guy on the phone said they use to do tons of 22R's back in the day, which means they know these things. Which is always good. I forgot to add, but they would also balance the flywheel too, which is a huge plus. It's a lot of machine work, but I'm taking everything as if it needs to be done, the block might not need as much work as I think, there's stuff you just can't see with the human eye. It'll be awhile before I get the block and everything else in, I think I'll take the block first followed by the head and then I'll take the rest of the stuff later. I'll call other places and see too, I'll talk to some of the master techs where I work and see what they recommend. If you have them balance the flywheel you might ask them to balance the pressure plate with it, that was the recommendation by my machine shop. A very reputable Toyota engine builder told me that I didn't need to balance a Toyota Factory crankshaft. 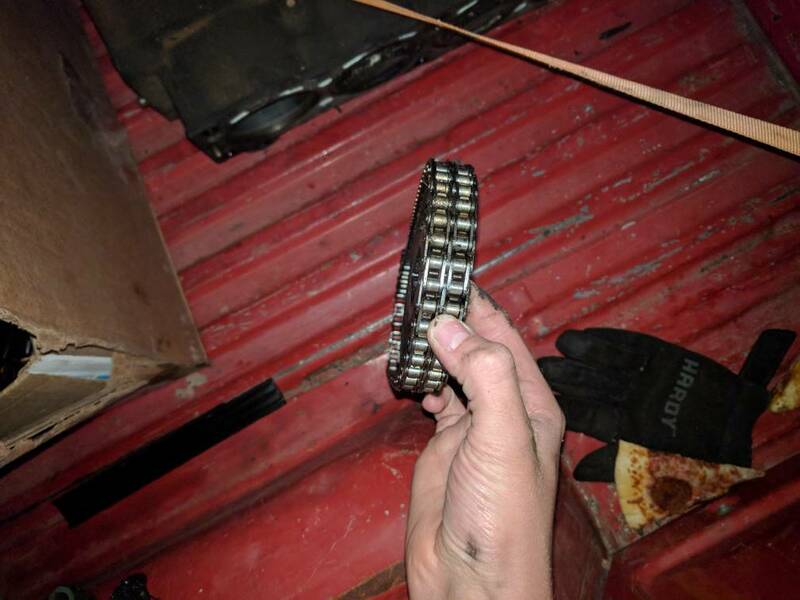 Also, if that shop has experience with 22s, they should know to machine the timing chain cover with the block if they deck it. My shop only needed clean the top of the block deck about .006", but also machined my timing cover to match. 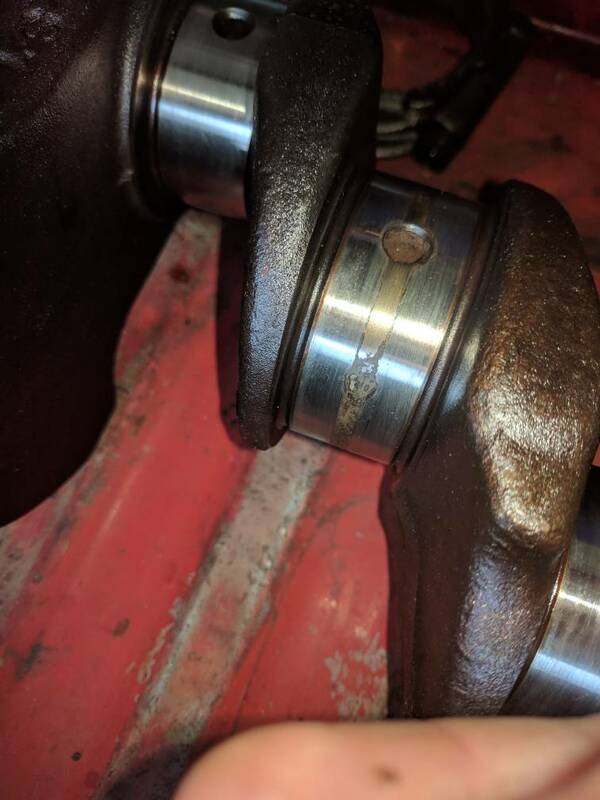 My machine shop recommended a .020" overbore. One very reputable Toy engine builder did not recommend an overbore anymore than necessary. However, if could go back, I'd seriously consider doing a .060" overbore to get a little more displacement - I believe 79coyotefrg built a .060" over. I realize that it may make the block non- rebuildable again, but I don't plan on rebuilding it again, and I realize the cost for .060" pistons is more money. As I mentioned before, if I could go back, I'd rebuild my 22RE and convert it to a 22R - carb... then ask H8PVMNT if he would work his magic on a supertune! But if I could go back, I'd seriously consider a Chevy 4.3 Vortec... then while doing that mental exercise, I'd probably end up swapping in a V-8!!... I always wanted a V-8 in my Toy trucks. That swap is not completely out of the realm of possibility in the future. Yeah I'm planning to bolt the cover on and have them deck it with the timing cover on, that way it's perfectly flat! Well, hopefully. Maybe this means they will clean the timing cover too, I am paying for them to clean everything so that's included in the price too. I'm really excited to paint the block, I want it to look nice, plus with all the other shiny stuff. It'll be perfect. 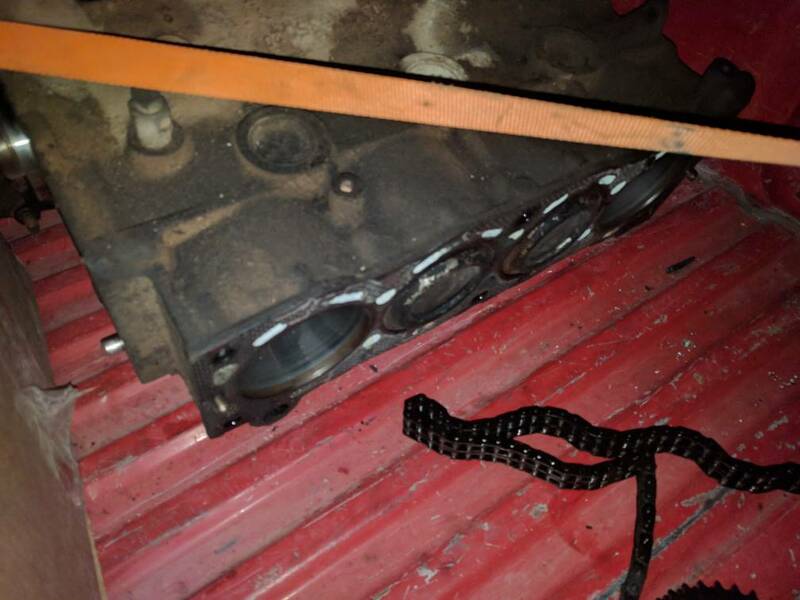 Depending on how much the head and block get machined, I'll get a Toyota head gasket. Because I've heard Superior things about them. Nothing in this build is gonna be from AutoZone. Page created in 0.79 seconds with 36 queries.